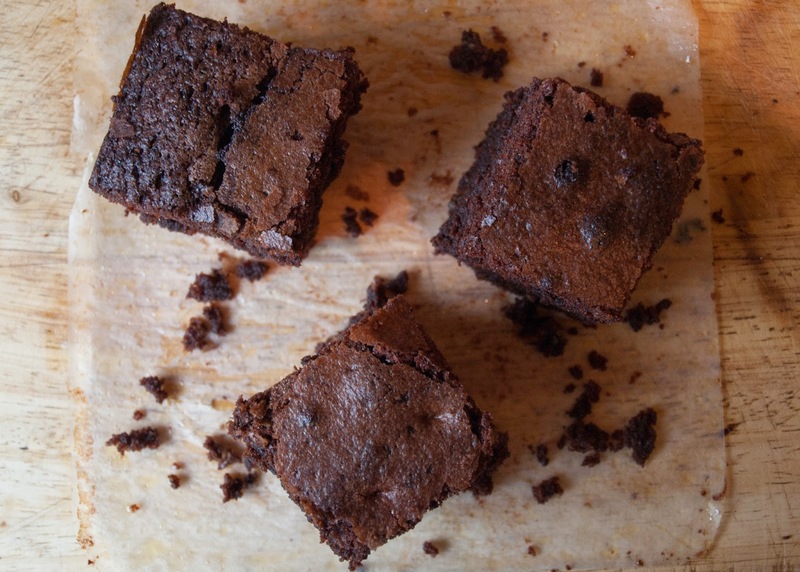 Anastasia Gammon: White chocolate chip brownies. Today I'm bringing you one of my old favourites from Mary Berry's Baking Bible but with the tiniest little twist (seriously tiny. Do not come to me for adventurous baking. I am not there yet.) I've used this recipe so many times it's the only recipe I actually remember the page number of. Page 100, if you were wondering. Okay so it's an easy page to remember, but I've still used this recipe a lot! 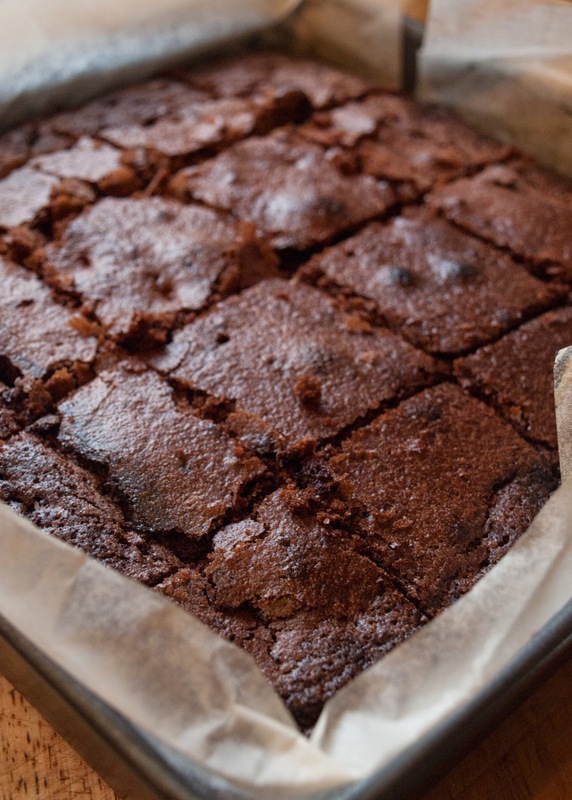 I have even been known to bake a tray of these brownies and just eat straight out of the tray with a fork without even cutting them up first. In my defence I was at university at the time. Although I'm not sure that's much of a defence because I would totally still do it now. These things taste GOOD. Mary Berry's recipe calls for plain chocolate chips but today I've gone for white chocolate chips instead. Mostly because they were all we had in the cupboard and I had a need for brownies. Although we could pretend it was because I was being adventurous. 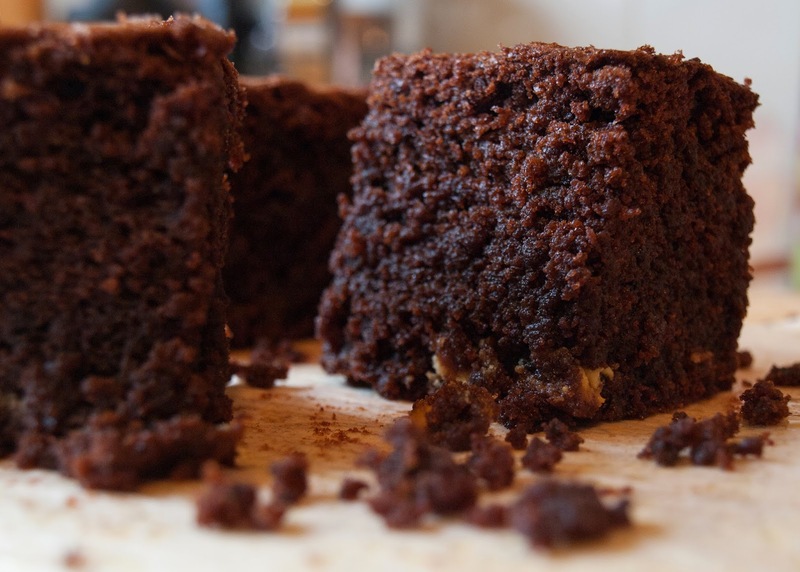 I've actually made these brownies without any chocolate chips at all before (because I couldn't be bothered to walk to the shops) and they still tasted pretty amazing. So I think it's safe to say this is a recipe that can be adapted for whatever filling you might want. Walnuts? Crushed biscuits? Smarties? Go wild! Beat the sugar and butter together. Add the other ingredients and beat until combined. Bake in the pre-heated oven for 40-45 minutes (50-55 if you are making giant brownies like mine) until the brownies have a crusty top and a skewer inserted into the middle comes out clean. If the mixture is browning too much then you can cover it loosely with tin foil for the last 10 minutes. 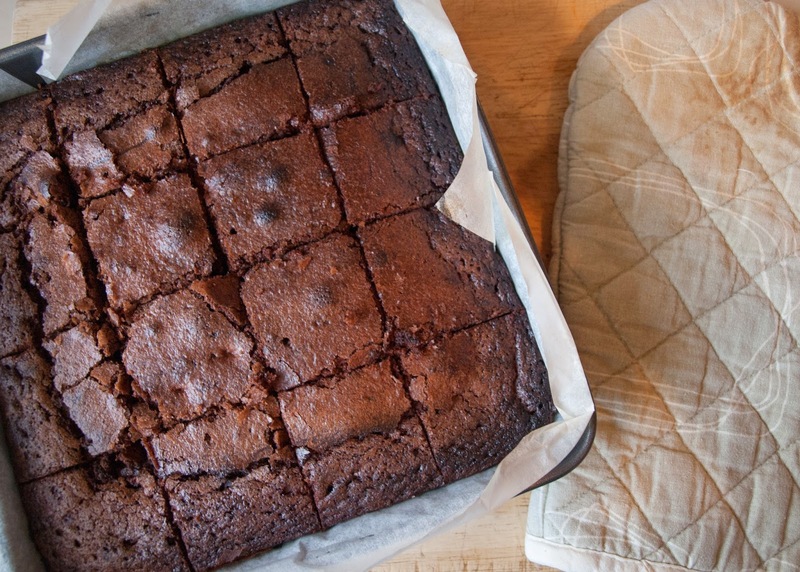 Leave the brownies to cool in the tin before cutting into 24 squares (or 16 for monster brownies) of perfectly gooey-in-the-middle-crunchy-on-the-outside chocolatey goodness.